So far in our ‘how your business can take advantage of social media’ series of blog posts, we have covered how Facebook can help you engage with customers, how Twitter can help you improve customer service and how Google+ can improve your visibility on search engines. This article will concentrate on Instagram, and how you can use this as a very powerful tool to engage with your audience. Instagram, which was initially released in 2010, was famously bought by Facebook in 2012 for approximately $1billion, just two years after launching. Although initially launching as a photo-sharing service, Instagram has added a number of additional features including video-sharing and a range of social networking elements that encourage interaction. The service has more than 150 million active users which, although considerably less than Facebook’s 1.23billion, isn’t too far off of Twitter’s 200million active user count. This is a high number of users, especially when you consider that the service has only been running for approximately 4 years. In addition to the strong user count, a recent study by Forrester revealed that on average Instagram delivered 58 times more interactions than Facebook. This provides brands with a massive opportunity to promote their services and products. Lets take a look at some brands that are using Instagram effectively, and some techniques that they have adopted whilst doing so. The GoPro Instagram account does a great job of promoting user-submitted content, publishing a photo of the day from another user on Instagram and tagging them in the post. 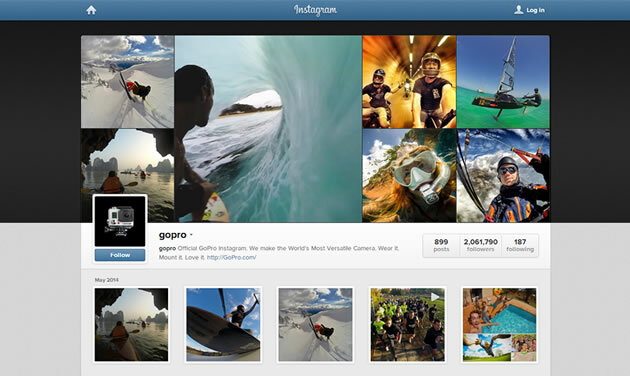 This provides GoPro with regular, unique content to publish whilst at the same time increasing brand loyalty by utilising user content. At this point, you may be thinking that Instagram can only be effective if you sell a visual product. Whilst this does provide you with more obvious content to publish, KISSmetrics believe that ‘selling unsexy products or being a service provider isn’t a reason to not share photos. Rather, it should be seen as an incentive to get even more creative.’ The sooner you start posting content, the sooner you can find out what it is your audience wants to see. 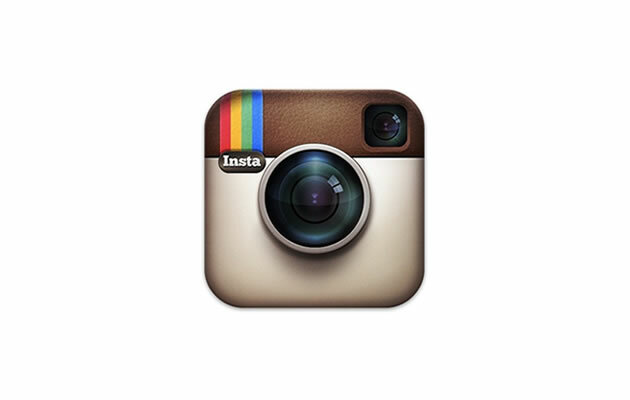 A good example of a service provider using Instagram well, is email marketing service MailChimp. MailChimp posts images which predominantly promotes their brand culture, with can range from images of the team to abstract images of their logo or branding. 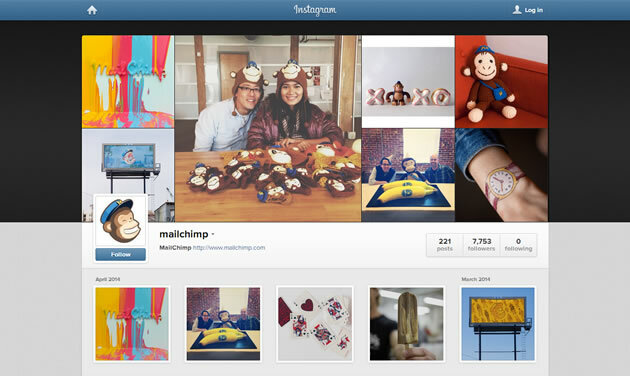 MailChimp proves that Instagram isn’t just for big brands too. With under 8,000 followers on the service, MailChimp is proving that you can publish unique content without a visual product. 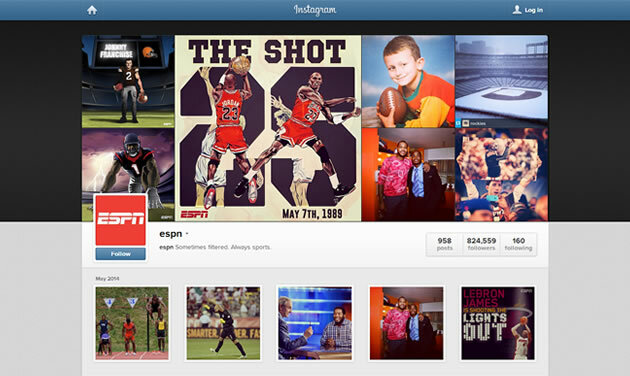 An account like ESPN, with a huge amount of imagery at its fingertips, could be excused for keeping its Instagram account limited to images of the latest sporting events. However, the company compliments this content with a number of bespoke graphics that encourage sharing and interaction on the service. This promotes conversation between fans, and in turn increases the chance of more followers on their account. Rather than simply posting content, businesses have also used the service to run successful competitions on the service. Lets take a look at a few examples. One of the most popular competitions on Instagram was the #captureeuphoria campaign which gave fans a chance to submit images of how they felt when eating Ben & Jerry’s ice cream. In return, the best images featured in custom-made ads and on Ben & Jerry’s website. The results of the campaign was a 22% increase in followers in just three months, and over 70million media impressions. 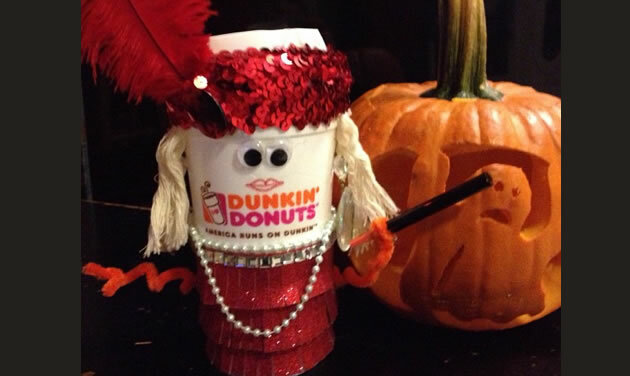 To celebrate Halloween, Dunkin’ Donuts asked social media followers to decorate their coffee cups and post them using the campaign hashtag #DresseDD. The five best images won $100 and, although the campaign ran on other channels, four of the five winners were Instagram users. The accounts that we have discussed are good examples of brands harnessing the power of an image-led social network, and being creative with the way they engage with their audience. We’ve also shown that you don’t need to be selling a visual product to have a strong presence on the service too, which is great news for service providers. So, what are you waiting for? It’s time to dust off your smartphone camera and take some great pictures!